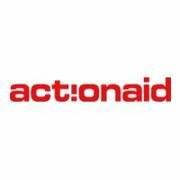 ActionAid is a leading international charity working in over 45 countries. ActionAid work with the poorest women and girls in the world, changing their lives for good. Their local staff provide immediate, hands-on support to women and children living on the margins of survival. Together we demand action at local, national and international level. ActionAid explore five themes that underpin their work across the world helping women and girls to claim their rights. Not accepting survival as enough. Empowering girls to understand their rights and the power they have to change their own lives.